Greetings from St. Louis and the Presbyterian Church’s General Assembly, a biennial meeting of pastors, elders, young adults, advisory delegates and more, who will deliberate and make decisions about the church, its mission and its future. I’m here on behalf of NEXT Church, talking up our coaching initiative, and offering free coaching sessions for people throughout the week. Some people are feeling stuck in their lives or ministries; others just want to debrief the events of this week. It’s always a holy task, this ministry of deep listening and asking important questions. The decisions made at GA include plenty of picayune insider stuff about the Presbyterian Church’s governance and structure. But we will also take stands and make statements addressing a number of issues facing our world, hopefully in ways that lift up justice and liberation. 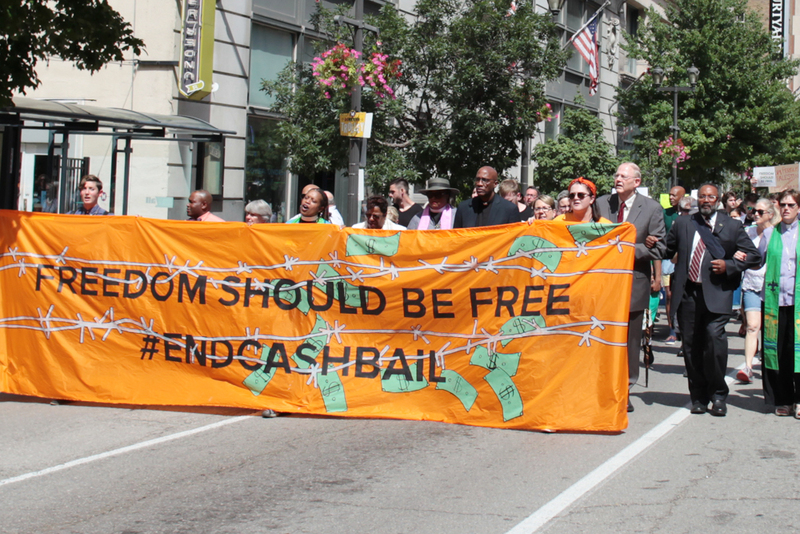 Yesterday we marched en masse to the St. Louis City Justice Center, carrying $47,000 to bail some 36 people out of jail. These are folks who are simply awaiting trial, but because they are too poor to afford bail, they are languishing in jail. It was inspiring to put faith into action, and to do something public and specific to set captives free. It also feels like not nearly enough. It’s surreal to observe committee meetings and have conversations in hotel lobbies and a fancy convention center, knowing there are children along our southern border who have no idea when or whether they will see their parents again. News broke just last night of so-called “tender age” shelters for infants and toddlers. It is projected that some 30,000 children could fall victim to the family separation policy before the end of the summer. There are various proposals floating around Congress to end the practice, and as I write this, there are reports that the president will be signing a statement to that effect. Time will tell. Immigration is a tough, tangled issue, befuddling countless presidential administrations, both Republican and Democrat. But as a Christian, this one isn’t hard. Jesus said in Matthew 25, “that which you did to the least of these, you did to me.” And he didn’t stutter. Many people I talk to are numb right now—the onslaught of news feels relentless, and it’s hard to even figure out what’s accurate, let alone what to do about it. And the actions of an informed citizen—writing a letter, casting a vote—feel so paltry in the wake of political forces that are much bigger than all of us. Just do the thing. 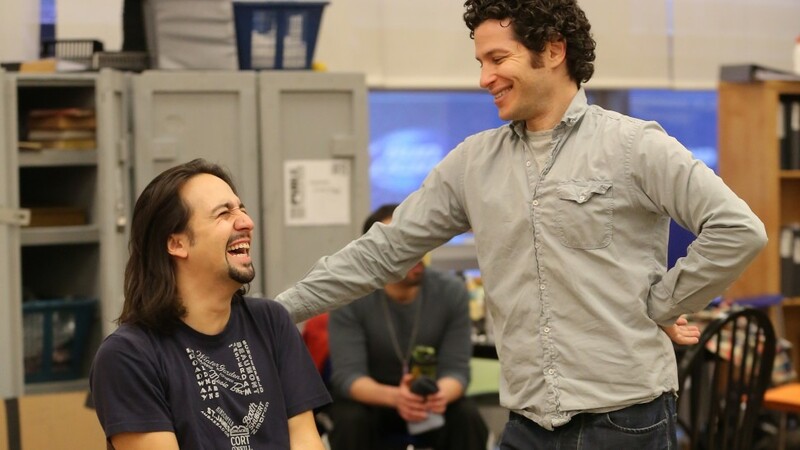 Do the stuff that’s in front of you: “What can we accomplish today?” So we would come in after a show, and Lin and I would talk to each other… and we’d say OK, what can we accomplish at this time. And you just start chipping away. In my experience as a coach, many clients know where they want to go, but they’re paralyzed with the tremendous size of the task. So we work together on the principle of “ten things a day”—small, bite-sized pieces that slowly but surely move us forward. It's a way of staying present to today's work instead of tomorrow's results, which we can never control. We live in chaotic, perilous times. Regardless of your particular convictions and beliefs, numbing out is a luxury we cannot afford. No one can do everything, but everyone can do something. At times, the “something” is to pull back and rest—but always in the service of a deeper engagement, one small act at a time. What might be today’s “ten things” to help bring about the world for which you hope?